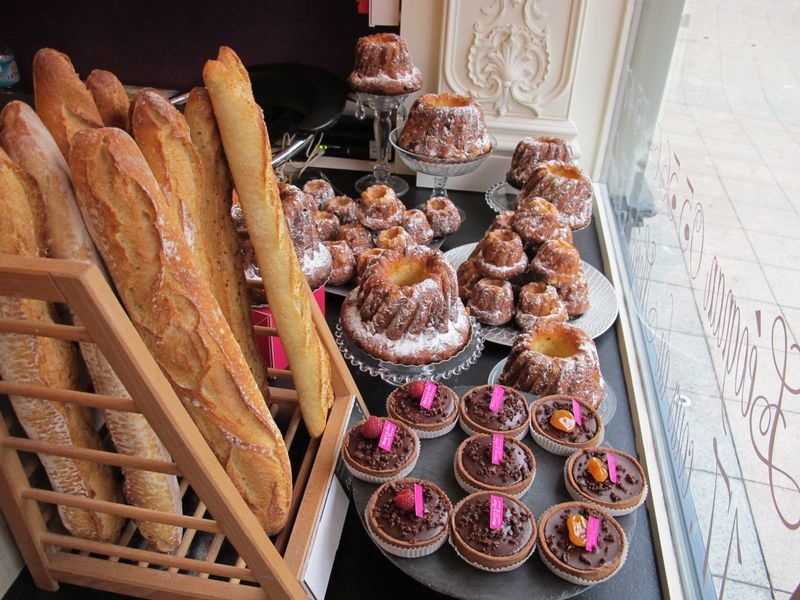 It is virtually impossible for me to pass by the window of a patisserie. 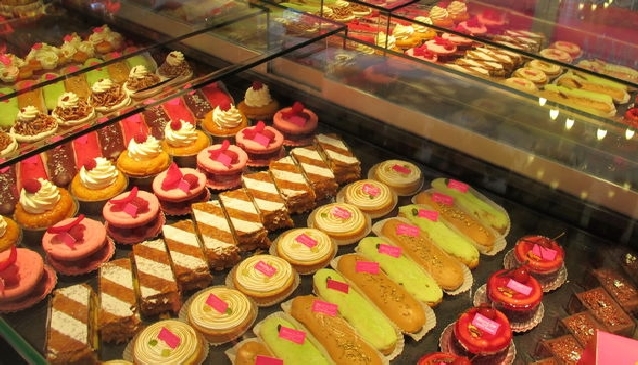 Patisseries or pastry/sweet shops dot the landscape of Bordeaux restaurants and indeed these tempting destinations are also to be found in small villages such as Saint Emilion. I’m drawn to the displays of buttery sweet and sometimes colourful little art pieces that are so delicately and cleverly constructed. It’s as though they’ve been created with the flair of an avant-garde architect and arranged in the windows by a professional stylist. On the other hand, maybe it’s the chocolate that draws me to the glass, or the macaroons. The real significance of chocolate to the French palate was beginning to dawn on me recently. 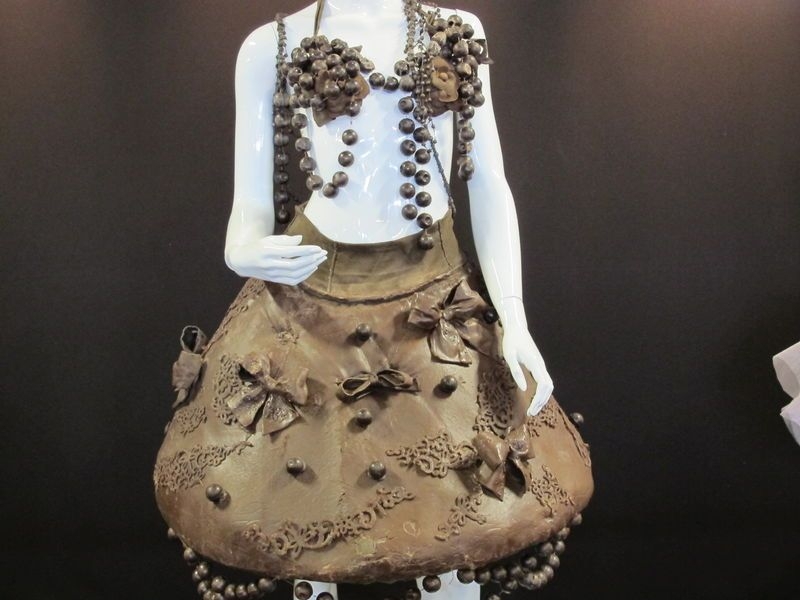 It was the invitation to the Salon du Chocolat exhibition in Bordeaux in early March that triggered my epiphany. The history of chocolate in France is long and rich – yet another treasure that the French are keeping secret? I’m sorry Belgium and perhaps Norway, but my loyalties have crossed the floor. The cocoa pods containing the beans at the Salon du Chocolat looked to me like mini watermelons and a bit cucumber shaped. As one chocolate historian related to me, cocoa trees producing these pods were first cultivated by the Mayans and then by the Aztecs. The former group considered the beans sacred and expensive and used them as a source of payment as well as a fortifying drink – not too much has changed. It still takes ten years before a first harvest yields a decent crop. 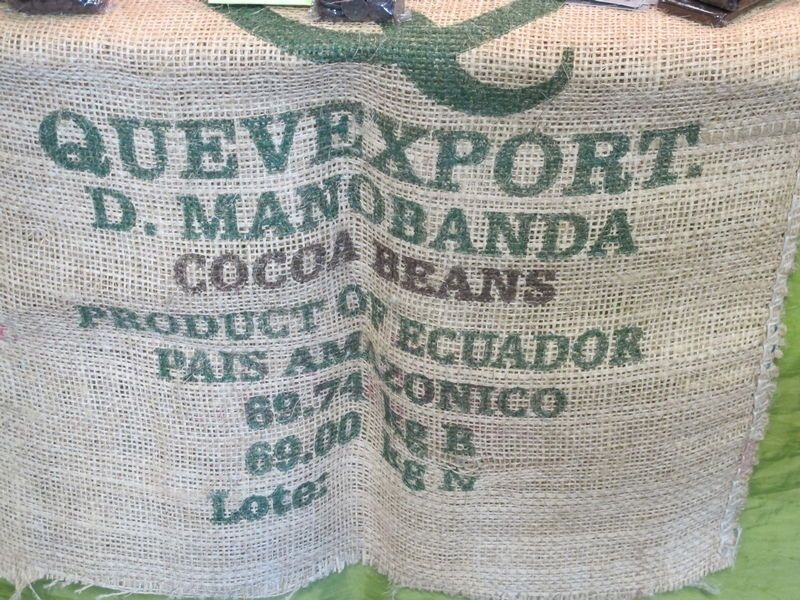 In 1502 Columbus landed on the island of Guanaja, making him the first lucky European to taste chocolate. But it was Hernan Cortés who brought chocolate back with him to Spain. 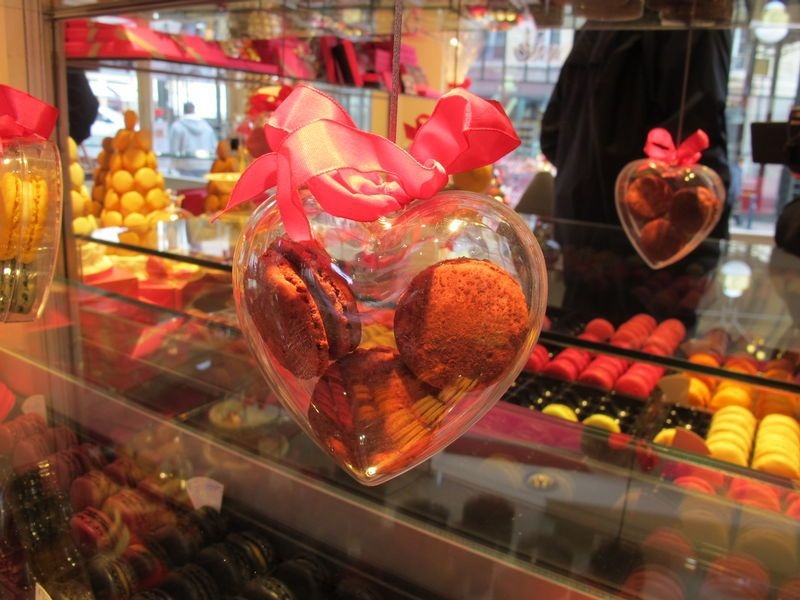 During the 17th century chocolate captured the palates and hearts of France. 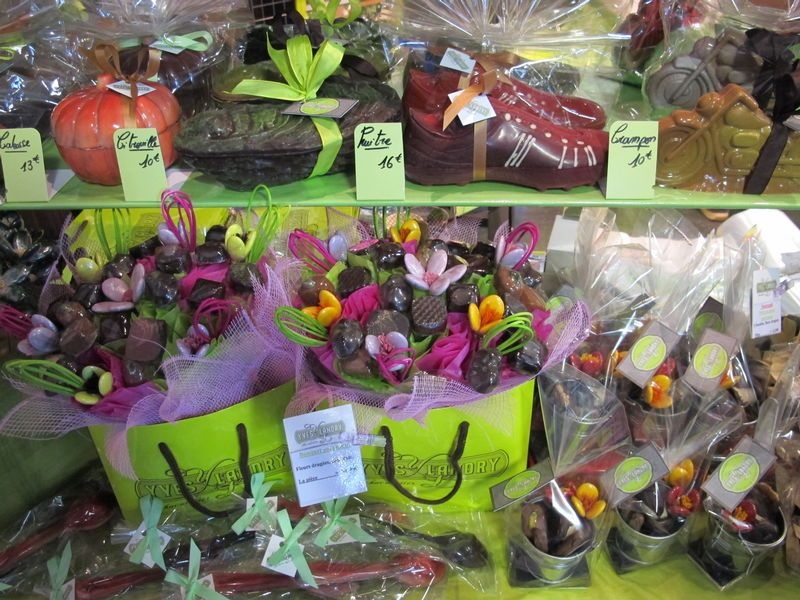 The first chocolate factory opened in Bayonne in 1776, a few hours south of Bordeaux near Biarritz. Still celebrating the early beginnings of chocolate in France are the Planète Musée du Chocolate in Biarritz and a chocolate museum and factory, La Puyodebat, in Cambo-les Bains about 25 minutes north of Biarritz. During the 19th century the popularity of chocolate really took off, a fact proven by such notables like Meunier in France, Suchard, Nestlé and Lindt in Switzerland, Fry, Roundtree and Cadbury in England and Van Houten in the Netherlands. Though Rotterdam became the trade centre for the beans, it was Bordeaux where the experts were creating and developing the best chocolate treats - they still are. A fine and popular example of an early 19th century chocolatiers, still going strong, is Cadiot-Badie on the Alleé de Tourny. But there are exciting new kids on the block too! 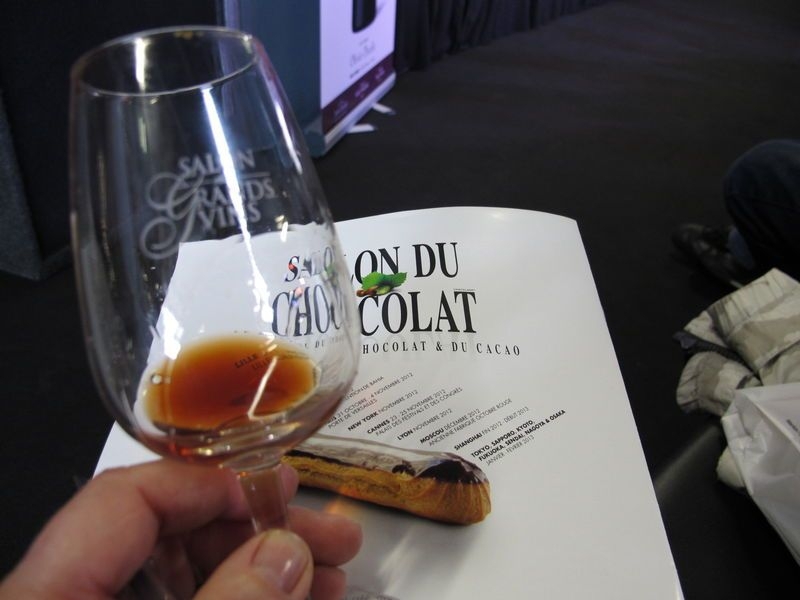 It is not surprising then that on the first weekend in March almost 20,000 chocolate fans converged in Bordeaux at the first of an annual event, the Salon du Chocolat. On arriving I tried to appear as gracious as one who has just been thrown a lavish surprise party with all your favourite things! 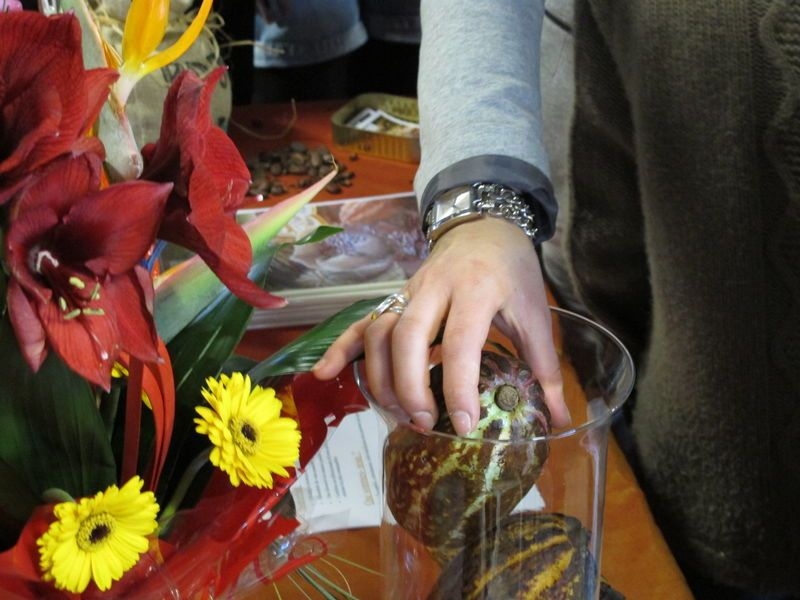 The theme was Bordeaux wine and chocolate of course and the Bordelais crowds came to sample the expertise of regional artisans and the presentations of over 50 exhibitors, and attend seminars and workshops. During the weekend I felt it was my duty to compare, taste and learn about which wines to present with which chocolate – Madagascan, Bolivian, Brazilian etc. – the list was long. I was motivated and thorough. There were discussions between Master Wine Makers like the eloquent Olivier Decelle, owner of three fine Chateaux, and Chocolate Makers such as the knowledgeable Philippe Andrieu. Olivier presented four fine desert wines for us to sample, taking comments from the large audience and guiding us through the complexity of nose, taste and nuance of these delicious wines. A seven year old behind me commented on ‘strawberry smell’ and apparently was dead on. He was never allowed a taste but constantly consulted on bouquet. I would have liked to have heard his comments for the Grand Crus nosings. Immaculately turned out in white chef’s coat, the well known patisserie and chocolate maker Philippe Andrieu had just moved from Paris to Bordeaux last year with his family. (This migration seems to be a trend.) 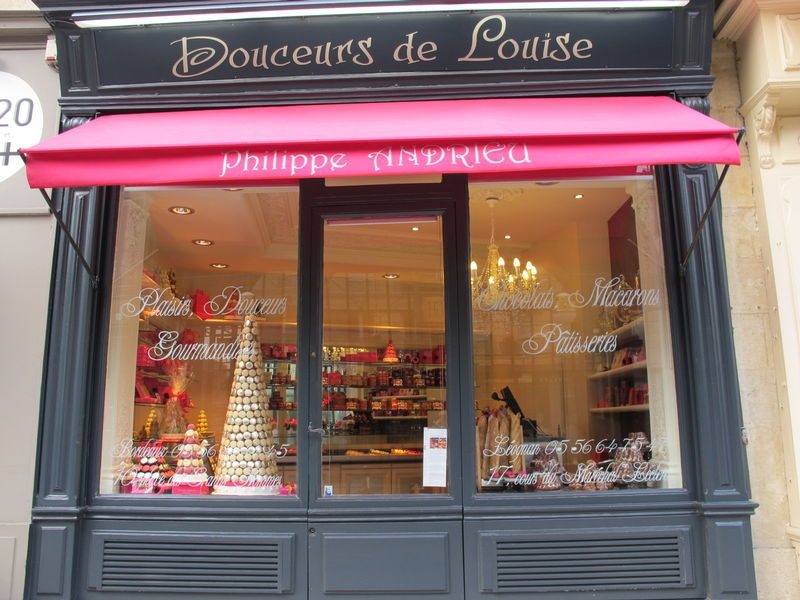 He set up his elegant and intimate Bordeaux boutique, “Douceurs de Louise” in the chic shopping area Place des Hommes. His chocolates were divine but I decided that his macaroons, a regional specialty, definitely needed a follow up with more tasting. I visited his beautiful shop the next day for more sampling and found that many others had the same idea! Wine and chocolate - what could possibly top this weekend? 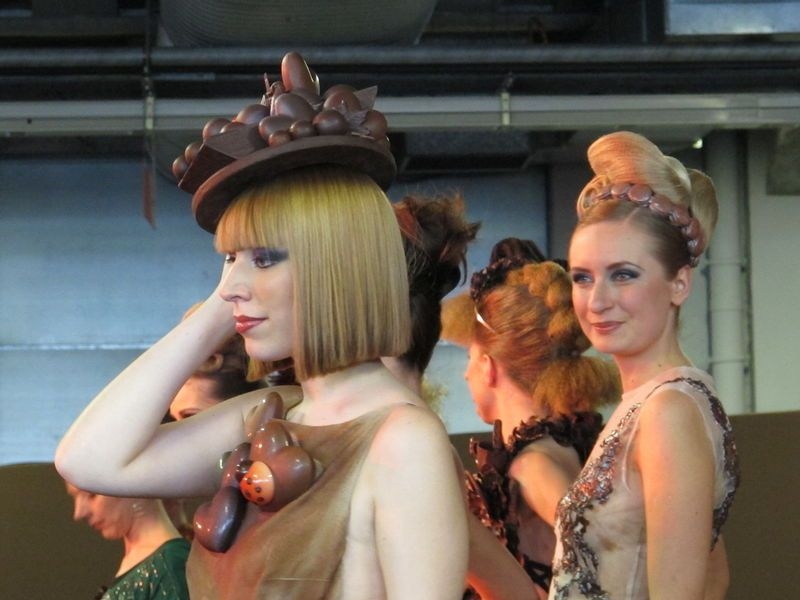 That would be chocolate fashion. 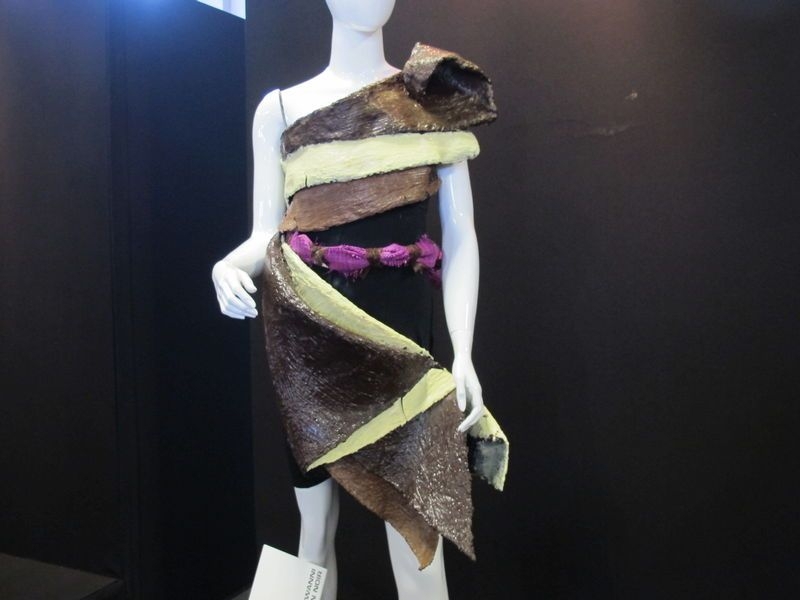 Satiated with samples, I discovered these fashion statements, arguably Pop Art pieces, presented dramatically in a long line by white dummies in front of a black velvet curtain. I was mesmerised. 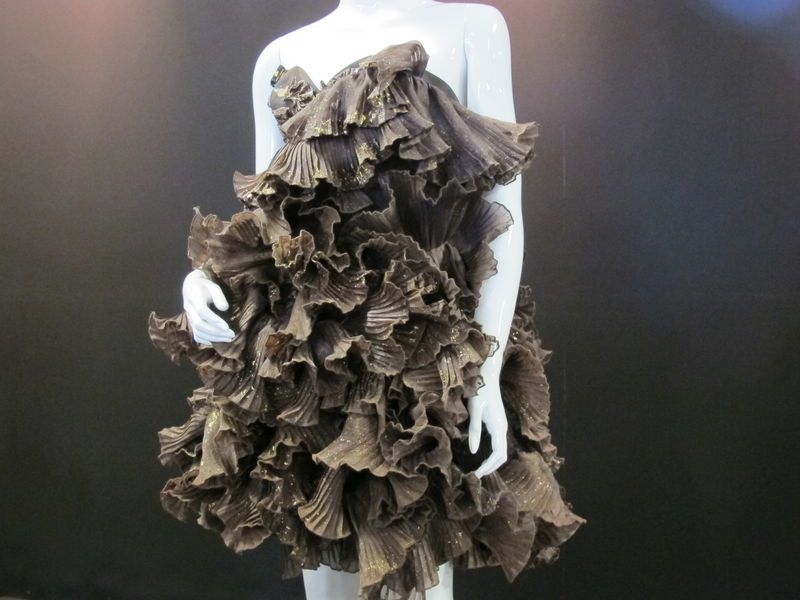 There was the “chocolate shaving” dress with ruffled chocolate shavings you only dream of creating in your kitchen and a whimsical skirt that looked like a bell. Hearts adorned another that would be ideal for making an astonishing statement on a Valentine’s night out! Philippe Andrieu, my macaroon man, had partnered with young designer Mary Viloteau to create an elegant floating pink dream with a very delicate bodice. And yes these creations were all strutted on the catwalk to great applause from a very happy and well chocolated and wine-sampled-crowd. 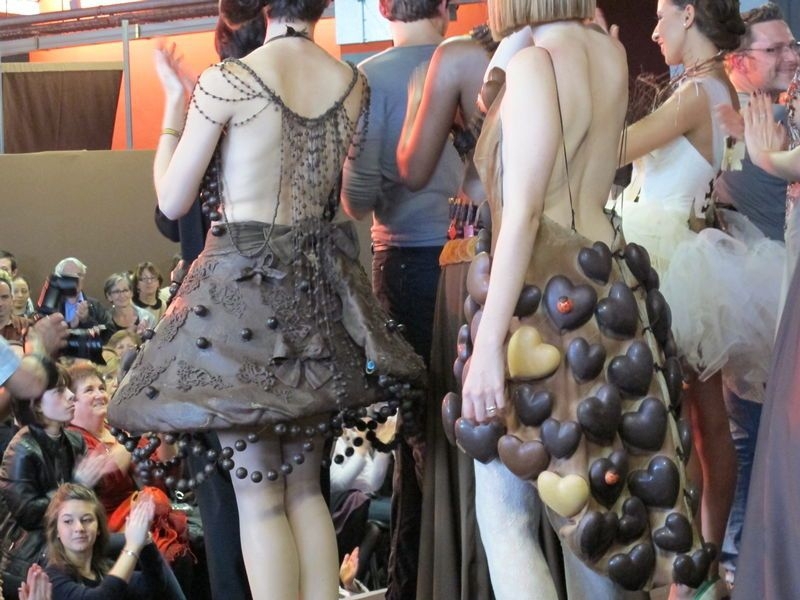 Only the French could pull off an Haute Couture fashion show inspired by chocolate and created by a team of designer and patisserie pros. It was early March and late in the afternoon when I walked home along the Quai, wending my way between rollerbladers and crowds of bicyclers beside the Garonne River. It was 17 degrees and the sun was still fully out. 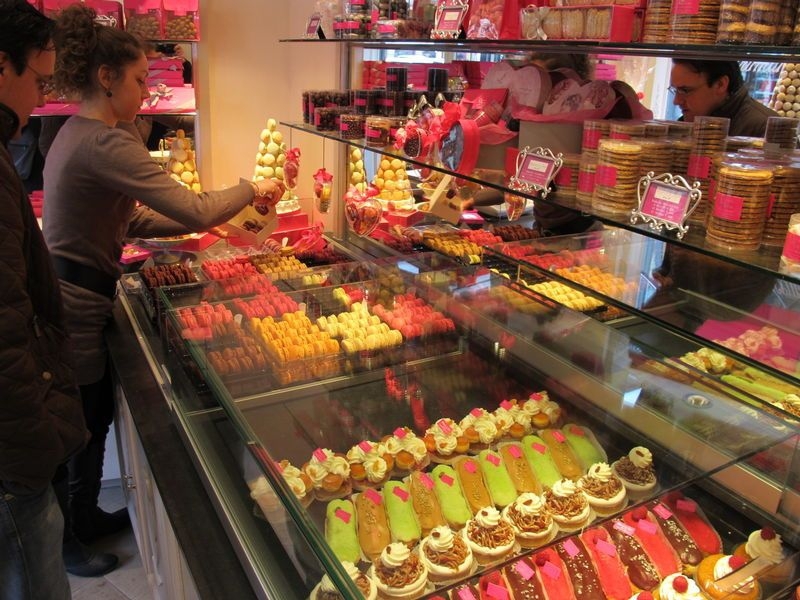 Munching a macaroon, I decided it had definitely been a good idea to move to Bordeaux.